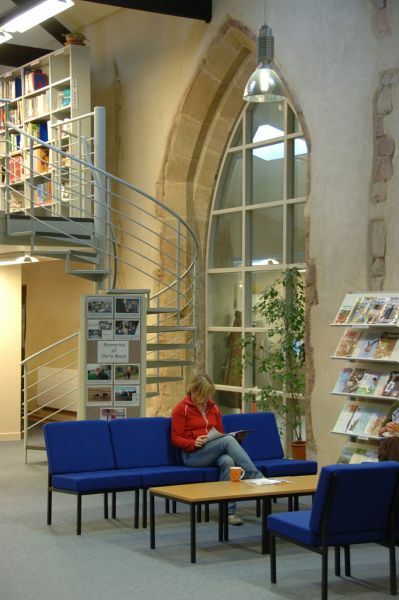 The Chris Mead Library was opened in August 2006 by V Mead in the presence of HRH The Duke of Edinburgh KG KT, the BTO's Patron. It is situated within the BTO Headquarters, Thetford, in the Max Nicholson Building, along with key archives of ornithological data and historic papers. A library existed at the Edward Grey Institute, within Oxford University's Department of Zoology, by 1936. It was run, on his retirement as first Director, by W.B. Alexander and was based largely on his own extensive collection. Initially, it was composed of a reference library for BTO members and a lending library from which they could request loans by post. This was to become what is now the Alexander Library, which is still housed at the EGI in Oxford and has grown to be one of the world’s best ornithological libraries. The BTO library itself was originally incorporated within this and did not exist separately until the Trust moved to Beech Grove in Tring in 1963. Much of the original book stock was duplicate EGI material as well as books received for review in the Trust’s publications and bequests from generous members and staff, with many periodicals received as exchanges for BTO journals. Most books and periodicals are still acquired on that basis. The BTO moved to Thetford in 1991. The Chris Mead Library is situated in the Resource Centre at the The Nunnery, providing flexible storage, good access and study space, all of which have helped to maintain this as one of the best ornithological libraries in the country. Funding for the development of the new facilities at the BTO's Headquarters in Thetford, and for work to sort and secure archival material was provided by members and other supporters. Significant contributions were received from the Heritage Lottery Fund and the European Regional Development Fund, the latter support being made via the Norfolk Museums Heritage Partnership. Thank you to all those who helped us in developing this wonderful resource.